Our Spring Workshop with Carol Carter. « Spring 2017 Members’ Watercolor Exhibition, Artists’ Talk and Awards Reception. 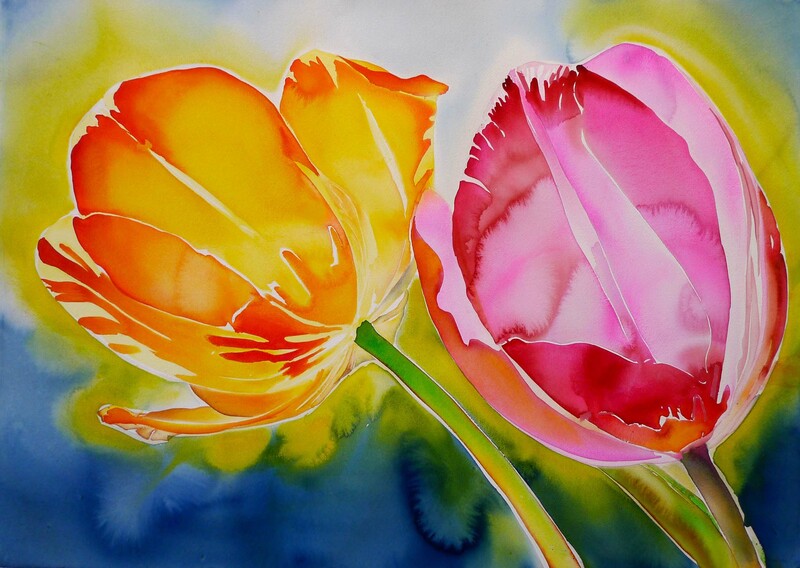 Our Spring Workshop will feature nationally renowned luminous watercolor painter Carol Carter. 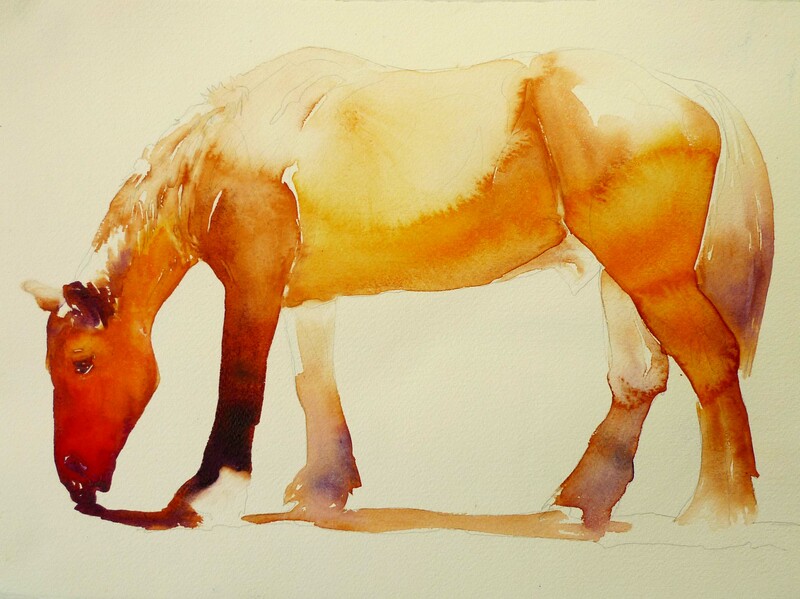 Learn how to paint with fluidity in watercolor, following her demonstrations of wet, loose watercolor techniques. This Spring’s Watercolor Workshop will be held at Marienthal Country Inn, 5107 Langford Road in Eden, NY, May 15 – 19, 2017, 9:30 am – 4:00 pm. You can read more about the workshop and check out the registration forms here. Carol Carter is a long time resident of St. Louis, where she earned a Master of Fine Arts degree from Washington University. 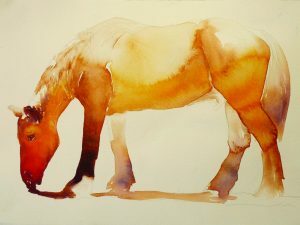 Long admired in the St. Louis area, she earned national recognition in 2002 when her work was featured on the cover of New American Paintings magazine. She has had solo exhibitions in Ecuador, Norway, France, and USVI. 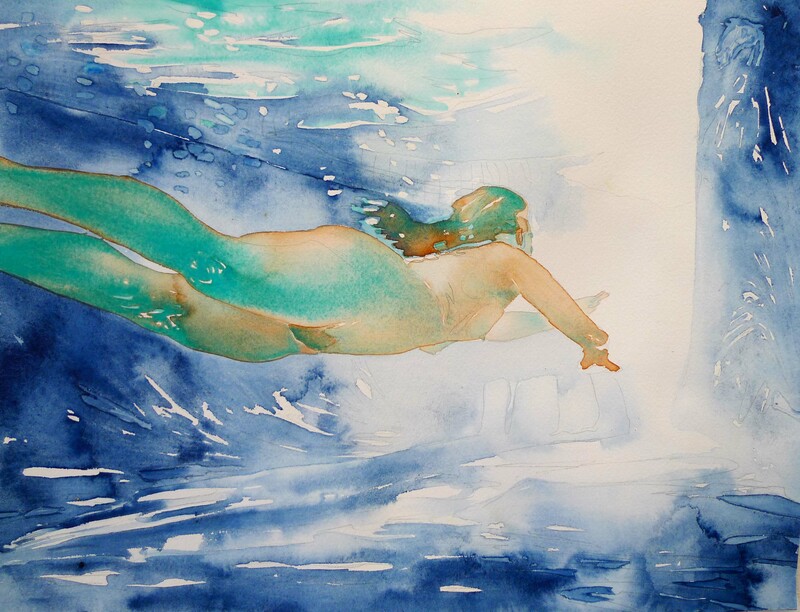 Water is an enduring presence in Carol Carterʼs paintings. 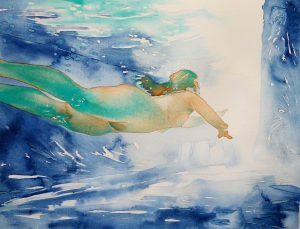 Having grown up in Florida, she sees water as an evocative backdrop, resonant in contrasts that illuminate the human condition. Using vibrant, saturated colors, she plays upon nature in images of swimmers, lush landscapes, insightful portraits and botanical studies. Each day will include a demonstration and a uniquely tailored lesson to inspire. Carol will discuss color, water, design, and value. She will also discuss marketing and using social media to build your career. The brilliance of color and the purity of paint application will be emphasized. She will talk about juxtaposing colors to make them vibrate. Imagery, content, and point-of-view are a focus. The afternoon will be devoted to individual instruction and group critique. Classes promise to be informal and entertaining with lively discussion. Carter strives to build an atmosphere of learning by encouragement, support and permission to take a risk. Questions, curiosity and camaraderie are a must! Join us for a week of inspiration and camaraderie.